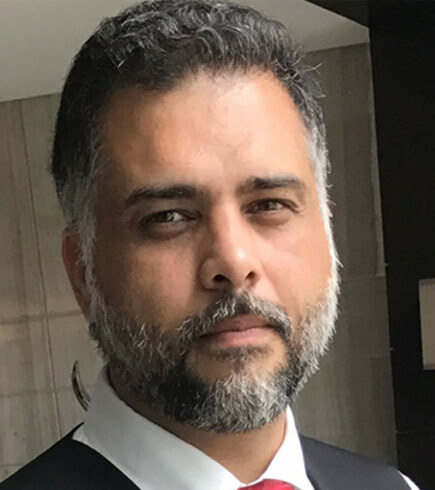 Karan graduated in 2003 and worked with Mr.Amarjeet Singh Chandhiok, senior advocate, and assisted in several highly complexed litigations in the high court of Delhi. Later he worked at Amarchand & Mangaldas & Suresh A. Shroff & Co. (now known as Shardul Amarchand Mangaldas & co.) over a decade. Karan has handled several legal matter / disputes in relation to and / or arising from joint ventures, shareholders agreements / corporate and commercial transactions / power, telecom & oil and natural gas projects / insurance claims/ real estate matters / family disputes / information Technology / criminal (economic offences) matters.